Today, not only had we fun winter activities inside our classroom but also outside. It snowed last night and this morning the children had lots of fun in the snow. 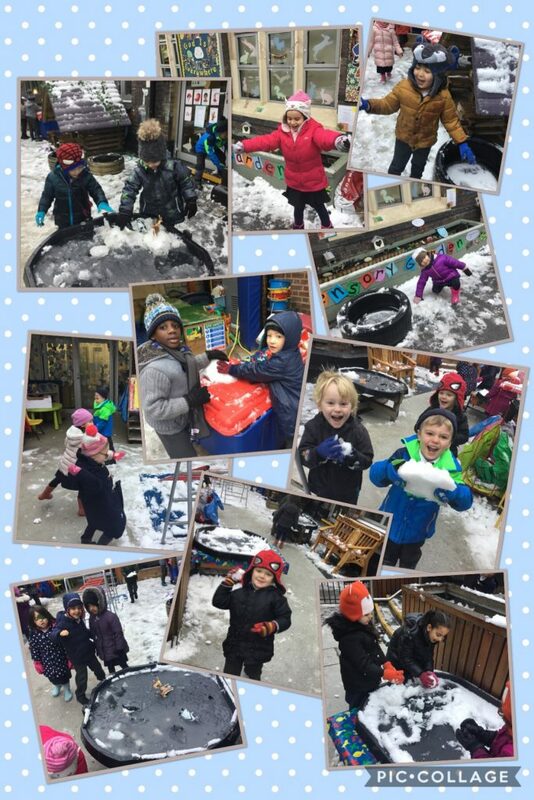 We went out exploring, making snowmen and writing about snow using some lovely adjectives. We wrote our names in the snow and observed what happened to water when left outside. The arctic animals loved it too! Maybe your child can tell you about the experiment we have carried out with the water. Here are some photos of us enjoying this freezing weather!